CALIFORNIA BREED, whose self titled debut has become one of the most critically acclaimed rock albums of 2014, have officially announced their first round of European live dates. The band will support Alter Bridge in the US before heading to Europe and will close out the run supporting SLASH featuring Myles Kennedy & The Conspirators on their 5 UK arena dates. CALIFORNIA BREED will be the featured guests of Bob Coburn on Rockline, on Monday, May 26th, 2014 at 8:30PM PT (11:30PM ET). They will be taking your questions LIVE on the air @ 1-800-344-ROCK (7625). Rockline is one of the premiere USA based syndicated shows hosted by legendary radio personality, Bob Coburn. Check out Rockline’s official website and navigate to “Stations” to find out where to listen to Rockline on the radio in the USA. CALIFORNIA BREED, the new band of 2014, built around the foundation of legendary vocalist-bassist Glenn Hughes, drummer extraordinaire Jason Bonham and 23-year-old newcomer guitarist-singer-songwriter Andrew Watt, have made available an audio stream of their song Spit You Out, from their self-titled debut album, CALIFORNIA BREED, released in Europe May 16th, UK, USA & Worldwide, May 19th, 2014. 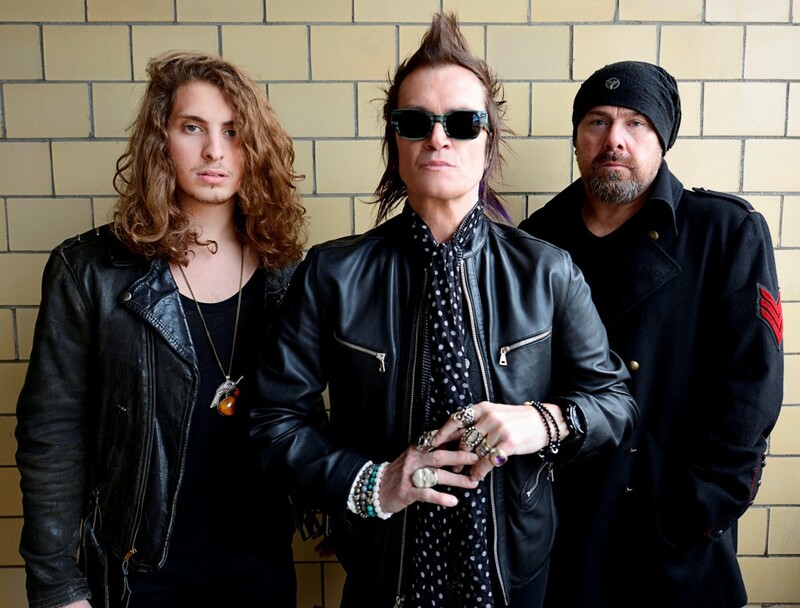 CALIFORNIA BREED, the new band of 2014, built around the foundation of legendary vocalist-bassist Glenn Hughes, drummer extraordinaire Jason Bonham and 23-year-old newcomer guitarist-singer-songwriter Andrew Watt, have announced their first ever live shows which will take place in Los Angeles and New York. The first show is at the world famous Whisky A Go Go in West Hollywood, California on Wednesday, May 28th, 2014. Tickets go on sale at 10:00AM PDT on Saturday, May 3rd, 2014. The second show in New York will take place at the Gramercy Theatre on Saturday, May 31st, 2014. Tickets will go on sale at 10:00AM EDT on Thursday, May 8th, 2014.